Whether you’ve sustained an obvious injury on the job from a single incident like a fall or you have a chronic condition resulting from your work, you may be entitled to Workers Compensation benefits to cover your losses. Learning more about Workers Compensation and how it works can help you protect your rights and be proactive about receiving the medical care and wages you need after an injury. What does Workers’ Compensation do? If you’ve been injured while doing your job, then Worker’s Compensation can help provide both wages and medical benefits as you recover. Each state provides a form of Workers Compensation; the exact dollar amounts and requirements vary depending on where you live and what state you are employed in. While each state is different, all cover lost wages, medical treatment and rehabilitation for injured workers. The Workers’ Compensation Act is the actual law or set of rules that govern how the program is handled in each state, how compensation is applied for and who can be approved for the program. What happens when you need Workers’ Compensation? You’ll need to file a claim for benefits with your local Workers’ Compensation Board and provide your employer with a copy. There are time limitations, so apply right after an injury or the discovery of a chronic work related condition to start the process. Is there a way to possibly prevent a work-related injury from happening? Realistically, it is impossible to prevent 100% of work-related injuries from happening. That said, employers that post the proper preventative signage and provide relevant industry-specific training to their employees have a far greater chance of preventing work-related injuries. Are companies required to provide a safety program or an injury prevention program? In New York, it is required for most companies to provide a safety program or an injury prevention program also known as an IIPP. These programs specialize in developing proper safety protocols, employee training modules, hazard identification/assessment, hazard identification/control, and managing employee compliance. What is the protocol for if or when I get hurt on the job? First, it is essential that you get the required medical treatment that you require for your injury. Then, within 30 days, you must report the injury to your employer in writing; however, it is best to document the injury as soon as possible to avoid losing the right to Workers’ Compensation Benefits. Then, it is best to file a C-3 Form to your nearest Workers’ Compensation Board for review. What is the required time frame to report an injury? The required time frame to report an injury is within 30 days; however, the maximum deadline to report other damages that appear in the long term is two years after the injury. If I do not discover an injury right away or if it develops over time, will this effect from receiving workers’ compensation benefits? When it comes to occupational injury, it is ideal to notify your employer within 30 days; however, if an occupational disease, it is standard that the employee should notify their employer in writing within two years after disablement or two years after the worker knew or should have known about the disease. With these options, the sooner the employee is able to notify the employer, the stronger case they will have for receiving their workers’ compensation benefits. If I am approved for workers’ compensation, what are the benefits that I will be entitled to? The benefits that you are entitled to depend on the percentage of your disability from your work-related accident. For example, employees that are disabled will receive a calculation that is 2/3 x average weekly wage x % of disability = weekly benefit. For the first seven days of disability, cash payments are not made unless it extends beyond 14 days. In such cases, the worker will be prorated their calculated cash benefits since the first day off the job. In addition, all medical expenses related to the injury will be covered. At times, workers who become seriously disabled will also be eligible for Federal Social Security Benefits. Lastly, if the worker dies, the spouse and/or surviving minor children are entitled to weekly cash benefits, which is equal to 2/3 the deceased worker’s average weekly wage the year before the accident. If a workplace injury develops over time or if I end up contracting a work-related illness, do the protocols differ from filing a general workers’ compensation claim? The protocols differ in that the worker has up to two years to file their claim from the date of disability or from the time the disabled worker knew or should have known that the disease was due to employment conditions. In the case of Occupational Hearing Loss, the protocol is three months from the date the worker is removed from the harmful noise in the workplace or three months after leaving in which the exposure to harmful noise occurred. What happens if I have to go to a hearing? A Workers Compensation Hearing is designed to determine what if any benefits you receive. Your attorney will present evidence and documents about your injuries and a judge will determine the benefits that you will receive. Your case could also be dismissed at this point, meaning you would not receive any benefits from the program. Who are the Workers Compensation Board? These judges are appointed to review hearing decisions and oversee the program to make sure benefits are distributed fairly and that the system works. Fraud occurs when an employee attempts to sign up for benefits but they have not been injured on the job; fraud also covers employers, who could submit falsified records to dispute a claim. Does Workers Compensation have a statute of limitations? Workers Compensation rules, including a statute of limitations, vary by state; each state is different and an attorney in your state can help you learn more about your rights. How much does Workers Compensation Pay? The amount of benefits received will vary depending both on the type and degree of injury. States use a formula to determine how much money you will receive and take into consideration if you can still perform your job or a similar job in the future. Where can I acquire the required form if my employer hasn’t provided me with it? How long does it usually take for the insurance company to investigate a claim? Insurance companies have within eighteen days after the disability begins or within ten days of learning of the accident to contest paying the claim. Due to this requirement, insurance companies typically investigate these claims in under two weeks to ascertain whether they want to exercise their option of contesting covering the disabled worker. What happens after the allotted time has passed and I do not receive an approval, or a denial? If the allotted time has passed and the insurance company has not denied, approved your claim or requested additional information from you, the insurance company may have to pay a fine. Additionally, if you do not receive an answer within 30 calendar days, it is possible that your claim will be automatically assumed as accepted. Do I have the option of choosing the doctor who will treat my injury? Absolutely. In the State of New York it is required for employers to allow you to choose your preferred physician for treatment. What happens if my place of work doesn’t have workers’ compensation insurance? Do I have the right in taking legal action if this is the case? Employers with limited exceptions are required to have Workers’ Compensation Insurance within the State of New York. If your employer does not have, Workers’ Compensation Insurance, it is fined $2,000 for every ten days that your employer does not have Workers’ Compensation Insurance. Additionally, employees can file a personal injury suit where the employer will not be able to plead that the employee was negligent in causing the injuries. If my claim has been denied, do I have the right in challenging the decision? If your claim has been denied, you do have the right to contest it. You must file an appeal in writing within 30 days of receiving the denial of your claim. Can my employer legally terminate me while out on disability? Employers are able to terminate employees while they are on disability. What the employer will have to prove is that the termination is due to a matter that is unrelated to the disability leave. My physician has released me to moderate/light work, however, what if my employer refuses to comply? What happens then? There are some industries such as Construction where light work is not available. In these cases, employers will want to pay a lower rate for the work that the employee can complete. If this occurs, employers are required to make up the difference with Workers’ Compensation checks with the appropriate rate calculation. What types of settlements are available and how do they differ? In New York, there are two types of settlements available. The first is a Stipulation Agreement where the employee and the insurance company will agree on the degree of the injury and determine which type of benefits are available. The second is a Section 32 Settlement where the employee agrees to close out their Workers’ Compensation case in exchange for a sum of money. Will an attorney charge me for the initial consultation? Most law firms will not charge for an initial consultation. Attorneys that deal with Workers’ Compensation claims are paid on a contingency-fee basis since many employees cannot afford their legal services until they receive the damages from their case. What are some of the common mistakes that people make when filing a claim? The most common mistakes that employees make when filing a claim are: not having an attorney represent you when dealing with an insurance carrier hearing, failing to tell their employer in writing promptly in 30 days, not receiving proper medical care due to fear of having to pay the bills themselves, not keeping detailed records, and being inconsistent with their facts, which can cause the case to be invalidated. Who actually pays the benefits? The state or private insurance company? For Workers’ Compensation benefits, the private insurance company retained by the employer actually pays the benefits. If my employer accepts or assigns me to moderate work or alternative position, will my payments be lessened? When an employee is permitted by their doctor to return to work, it is possible that an employer may assign them to a position with moderate work if their prior employment position does not have enough options for light work. In these cases, the employee will not have lower payments than their original job allotted for, they will be paid by their employer a salary or hourly rate equivalent to the work they are now completing and then the Workers’ Compensation will be adjusted to make up the difference. What happens if my employer doesn’t have any alternative or moderate work available? Are there other benefits available? If the employer does not have alternative or moderate work available, there is a possibility of attending additional vocational training to help the employee transition into a more appropriate role post-injury if the disability is severe. By law, what types of injuries or illnesses are considered work-related? What are the limitations? In terms of injuries that are work-related, New York State Law refers to injuries that are caused during the scope of employment. Depending on the industry, this may or may not extend to external trips and meetings that are made to see clients outside the office. In terms of occupational illnesses, these are conditions that are caused by working conditions such as exposure to toxic chemicals overtime or loss of vision/hearing, for example. Can I sue a third-party that is not connected to my employer or place of employment that is responsible for my injury? There is an option to sue a third-party that is not connected with the employee’s employer or place of employment. What has to be shown is that the accident was caused by either: a product that was manufactured improperly, a toxic substance that you were exposed to from an outside producer, employers intentional and egregious conduct or if a third party caused your injury. What will be required in these situations is demonstrating the external source’s connection to your injuries. One of the important determinations to make in order to verify that you are eligible for Workers’ Compensation is determining whether you are classified as an employee and whether you are: a worker in a for-profit business, county and municipal employee, public school aide/New York City Shop Teacher, employees of the State of New York, domestic workers employed 40 or more hours per week, farm workers paid over $1200 for farm labor in the previous year or anyone else the board determines to be an employee. If accepted, how will my compensation benefits be determined? Workers’ Compensation benefits will be determined by the gross wage that you earn the 52 weeks prior to the date of injury. For example, it will be determined what your percentage of disability is and then you will receive 2/3 x your average weekly wage x % of disability. If I am concerned or questioning what I am owed, is it best to contact an attorney? In terms of Workers’ Compensation Claims, it is usually best to speak with an attorney on areas that you are unsure about. If you suspect that you are being underpaid, it is always best to get a legal opinion and to remember that most legal consultations are complimentary. Is it possible to receive state disability insurance (DI) as well as workers’ compensation benefits at the same time? A common misconception is that if an individual is already collection Workers’ Compensation benefits that they are not eligible for state disability insurance (DI). The key is that you have to apply separately to the Department of Labor and have to be at least partially disabled. If you meet the requirements, then you can be eligible to receive both benefits. Can my employer take money out of our paychecks to help pay for workers’ compensation insurance? Employers may not take out any portion of the fees that they have to pay for maintaining the required Workers’ Compensation Insurance within the State of New York; however, they may ask for contribution from employees toward the cost of disability benefits coverage that cannot exceed 0.5% of the employees’ wages or 60 cents per week, whichever is less. What is the turnaround time once I obtain the form to file my claim? Workers’ Compensation Claims generally take less time than other government filings due to the fact that they are time sensitive for medical treatment in many cases. Applicants should expect to hear within ten business days to one month from their date of application. Does the law differ for accidents that occur on a construction site? Can I take legal action against the property or property owners? The law can differ on a construction site where a third party may own the property that the employee’s company is building on. If the proper owner should have known about the inherent dangers and the employee gets injured as a result, it is also possible to sue the property owner. Is more than just workers’ compensation available if injured while working on a construction site? If you are injured working on a construction site, it the employee wins a lawsuit against a third party, it is possible to recover: wages lost from the date of the accident until the date of the verdict, potential future lost wages and benefits, medical expenses from the date of the accident until the date of verdict, any future medical expenses, pain/suffering since the date of the accident until the verdict date, and future pain and suffering. In these cases, the Court will try to balance the worker’s wages with the recovery so that the recovery does not exceed the worker’s original wages if the injury had not occurred. Who is responsible for ensuring the construction site I am working at is safe? It is both the responsibility of the property owner and employer of the employee (if different than the property owner) to regularly inspect the property’s safety and ensure proper safety trainings and/or notices are posted. The investigation about my claim showed that my employer violated OSHA regulations. How will this support my case? If it can be shown that your employer violated OSHA, then it will need to be determined the severity of the OSHA violation and whether it is a repeat offense. If it is serious and/or a repeat offense, it can absolutely strengthen the employees’ Workers’ Compensation case. Even if I am collecting workers’ compensation benefits, am I still allowed to file a lawsuit against the persons or entities that caused my injury? If you are collecting Workers’ Compensation benefits, it is absolutely possible to file a lawsuit against the persons and entities that caused your injury if they are separate from your employer. For example, a negligent individual or the company that manufactured a faulty product are eligible to be sued if there can be a clear connection shown between your injury and their negligence. I was a subcontractor at a construction site when my injury occurred. What are my legal rights? Can I file a lawsuit against the owner and general contractor? New York has a rigorous policy for holding owners of construction projects and properties accountable for injuries. If a subcontractor was injured on a construction site, there is a potential to file a lawsuit against the owner and the general contract. This is especially true if it can be shown that the proper safety protocols were never explained or followed. What are some of the common accidents that occur on a construction site? While there are many potential dangers on construction sites, some of the most common are: falls, electrocution, being struck by failing objects or being caught between heavy objects. What damages am I able to recover from a construction site-based injury claim? There are many particular damages individuals may be able to recover when filing a claim related to construction site-based injuries. In addition to the traditional Workers’ Compensation injuries, individuals also can recover from the property owner if it can be shown that they were negligent and external individuals who were negligent and responsible for the injury. Lastly, individuals may be eligible for lost wages since accident, future lost wages, medical expenses, and pain/suffering. If my employer or supervisor doesn’t report the accident to the proper authorities, (e.g. OSHA) do I have the right to do so myself? Due to recent changes, employees are eligible to report their injuries to the proper authorities. In more severe cases, employers are required to report injuries to OSHA. What are the suggested protocol to take if I was injured on the construction site I was working at? One of the most important first steps is to seek medical attention immediately and have a written diagnosis signed by your doctor provided to you. Then, you must notify your employer in writing including your doctor’s diagnosis and keep a copy of the correspondence for yourself. At this time, file your Workers’ Compensation claim after consulting an attorney for advice. Remember that with these injuries that the immediate period after the accident happens is crucial to building your case. Having an attorney’s advice will help you to ensure you have the best results possible. How will the severity of an injury, type of work and/or location of an injury depend on the benefits I may receive? It is essential to carefully document the severity of the injury, type of work being performed when the injury occurred, and the location. The reason for this is these factors are how to prove a concrete case that your injury was directly caused by your employment position and/or unsafe environment that your employer or a property owner provided. Depending on the correlation of these factors to your injury, it will absolutely impact the benefits you receive. This is particularly true when the determination is made about the percentage disabled you are as a result of the workplace injury. Regarding medical treatment, is my employer responsible to pay for it, regardless if I missed time off work? Yes. Under New York Law employers are required to pay medical expenses that are required as a result of the workplace accident along with potential time missed at work once the % disability calculation has made if the employee needs extended leave from work. Do I have to be a United States citizen in order to receive workers’ compensation benefits? Not necessarily. Within the State of New York, workers that are U.S. Citizens, Permanent Residents, and Undocumented Immigrants are eligible to receive Workers’ Compensation benefits for injuries that occur while working for their employers. Are there medical treatment guidelines that are state regulated? Yes. The State of New York is periodically updating their medical treatment guidelines. More information can be found about recent updates here: http://www.wcb.ny.gov/content/main/onthejob/MTGFacts.jsp. What happens if a treatment given by my physician doesn’t follow MTUS? If a physician fails to follow the MTUS, it can put the patient at risk for losing coverage by Workers’ Compensation. The reason for this is that MTUS is a standard that sets guideline for which type of treatments are “medically necessary.” Be sure to have your physician carefully explain to you what is required and whether it follows MTUS guidelines. What are the benefits of hiring an attorney for my case? Hiring an attorney is always beneficial because, particularly in Workers’ Compensation cases, there are a lot of grey areas that can be paired with hostility from employers. Having an attorney to guide you against common pitfalls will allow you to have a better chance at the result you are seeking from your case. 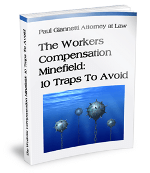 How are the attorney feed processed regarding my workers’ compensation case? Is required that they be paid upfront? Attorneys typically work on a contingency fee basis when representing clients on Workers’ Compensation cases. This means that they will get a percentage of the damages awarded in your case. This percentage will be weighted based on the amount of labor the attorney completed for your case. What is the difference between personal injury claim and workers’ compensation? One of the major differences between a Personal Injury claim and Workers’ Compensation is that Personal Injury allows the individual to obtain damages for pain and suffering and the Workers’ Compensation claim does not. Is it possible to collect both personal injury claim and workers’ compensation simultaneously? In certain circumstances this can be possible. One of the best examples is during a case involving an accident on a Construction job. The individual can file Workers’ Compensation with their employer and bring a personal injury suit towards the property owner or third party that was directly related to the negligence that caused their accident. If my accident was caused by a third-party, what will I be entitled to recover? New York Employment Law makes it possible to recover against any and all parties that took part in the workplace accident taking place. While the employee can file Workers’ Compensation for their time on the job when the accident occurred, they can also file a personal injury suit against a third party so long as they can show a clear connection between that third party’s actions and their accident. What are the reasons if a workers’ compensation insurance provider waives the requirements stated in the Labor Code Section 5313? The insurance provider can waive the requirements stated in the Labor Code § 5313 if they fail to provide a decision within 30 days of the Workers’ Compensation claim being filed. A Workers’ Compensation deposition is a series of questions that can be asked to the worker, witnesses or doctors treating the worker under oath about the case. These answers can be very important to an outcome of the case. It is wise for the employee to have an attorney prepare them for this line of questioning. What do they ask at a deposition? There are many different types of questions that can be asked at a deposition. The questions become particularly important if an employer is trying to show that the employee’s injuries did not occur at work, for example. Typically, the questions are surrounding the details around the workplace injury. What are the ground rules regarding a workers’ compensation deposition? There are several rules surrounding Workers’ Compensation depositions in New York. While a complete list can be found here: http://www.wcb.ny.gov/content/main/wclaws/wcb-std.jsp, the general rule of thumb is to not schedule unnecessary appoints (as they are quite expensive) and to treat the individual being questioned with professionalism. Contact our offices today for a free, no obligation consultation with attorney Paul Giannetti. We are here to help you receive compensation while you are unable to work.